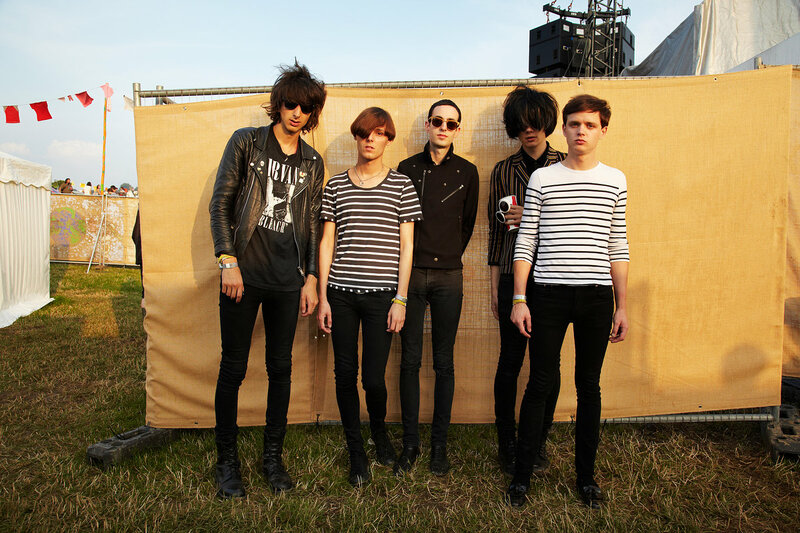 English quintet The Horrors have morphed quite a bit musically since their hard rocking debut, 2007's Strange House. 2009's Primary Colours dialed back the horror and channeled a softer (but still somewhat grim) new wavey 80's sound with elements of synth-driven dance music. The Horrors' new LP Skying, the band's third record, is already out in the UK but will be released on August 9 here in the U.S. (XL Recordings). If Skying's first single "Still Life" is any indication, these Brits are still living, and thriving, in the lush world of synthy 80's inspired pop. While singer Faris Badwan's voice remains deep and dark, there is something buoyant now in the music and lyrics that simply was not there when the young band got kicking years ago. Badwan croons; "The moment that you want is coming if you give it time. When you wake up, when you wake up, you will find me." We can't wait for that moment on 8/9/11 when we can all go Skying with Badwan and his bandmates. Watch and listen to "Still Life," and stream the entire new record below.